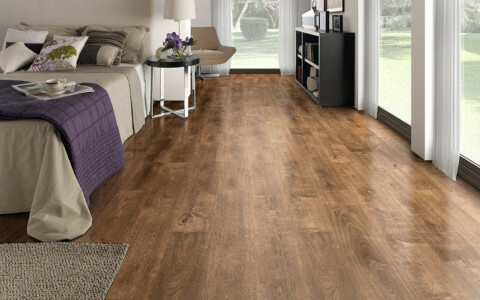 Laminate flooring has a multilayer construction that offers superior wear and stain resistance. Easily installed, cleaned, and maintained. 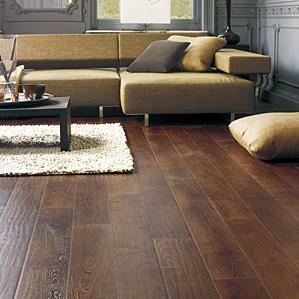 It provides the realistic hardwood look with good resistance to scratching. Most laminate floors are installed using the click-and-snap method, locking the individual panels in place without the use of nails, glue, or screws. Laminate floors can also be installed on almost any dry, level surface. No more worrying about a suitable subfloor. 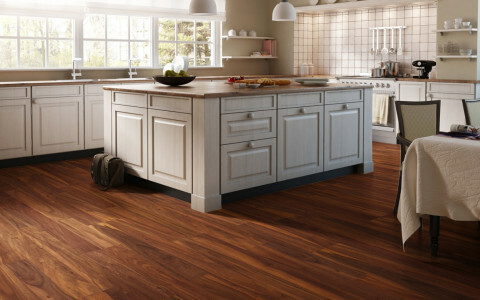 Laminate floors can take the appearance of any hardwood species you wish, as well as stone. This is because the second top-most layer of a laminate floor is a photograph of a specific hardwood or stone surface, giving you the appearance of beautiful hardwood and stone without the hassles of upkeep. This layer is protected by a resin layer designed to protect the image from wear, tear, and fading. These floors remain beautiful and pristine as the day they were installed.